Winter Date Ideas You’ll Love! While most of us are getting ready to hunker down for the cold season, we have to remember to take care of ourselves and our relationships! Depending on where you live, winter might not be so enjoyable! Freezing cold temperatures send us inside to hibernate for months. Despite the temperature, we have to remember to get off the couch and make time for our relationship! We racked our brains to give you some of the best winter date ideas we could think of! Best of all these ideas are fairly inexpensive, just the way we all like it!! Let’s make dating in the winter FUN!! 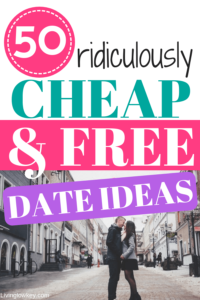 Surprisingly our list of winter date ideas is rather long so we broke it up into categories! Feel free to scroll to the section you want to read more about! 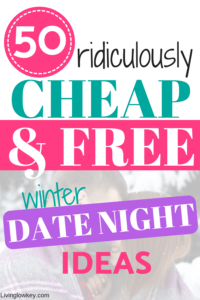 Get ready to embrace the cold with these cheap winter date ideas! 1| Go Ice Skating Together- When is the last time you stepped on an ice rink? Most of us don’t get to do this too often so bundle up and get ready for some good laughs! 2| Do A Project Together- When was the last time you built something together? Whether it be building a piece of furniture or organizing a room in your house, find a project and make it something you do together. Hello, bonding time! 3| Go Rock Climbing- Find your nearest REI or any other indoor rock climbing warehouse. If you or your partner has a fear of heights this actually makes the date even more interesting! And by interesting, I mean FUN! 4| Overnight Getaway- Find an Airbnb with a private hot tub for your own overnight mini getaway. Airbnb’s are usually more affordable than a hotel and you get to stay at some pretty unique places. We’ve never had a bad experience with Airbnb. Use our link and get $15 off your first stay with Airbnb! 5| Go To A Sporting Event- If you’ve never been to a hockey or football game, now is your perfect time to go. 6| Go Snowshoeing– If you haven’t tried snowshoeing, its a lot of fun! Find a snowshoeing guide and some unseen terrain. 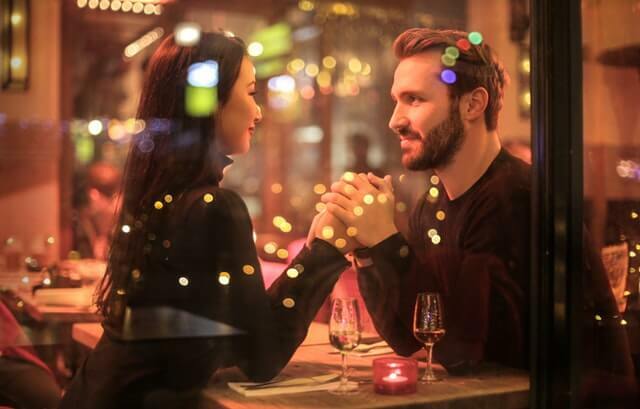 Head over to Groupon to see if you can find an awesome discount for this type of date idea. 7| Paint and Sip- This is becoming more and more popular every year. More than likely you have something similar to this in your area. Look it up on Facebook! Share a drink and paint a picture at a local bar. These events usually last for 2 hours but the memories last forever! Check out Groupon to see if they offer a discount in your area! 8| Try a new activity- Have you’ve been wanting to try something new, well now is the chance. I’ve been trying to get my husband to take a hip-hop class with me. Guaranteed I’d laugh so hard the entire time I’d leave the place crying. Go get out of your comfort zone. 9| Go To An Arcade- When was the last time you went to an arcade? We recently went to an arcade and it was a blast and slightly addicting!! Who doesn’t love feeling like you’re a kid again? Go grab some wristbands at your nearest arcade and get ready for a little competition. 10|Groupon Date For The Win- If you haven’t been on Groupon you need to take advantage of their AMAZING discounts! They have something for everyone and I mean EVERYONE! I love using Groupon because I find unique ideas that I haven’t even though of. Nobody likes going on the same date over and over again. Head over to Groupon, type your location in the search box and they’ll tell you what awesome deals they have in your areas. 11| Go Cart Racing- If you and your partner are competitive you have to try go-cart racing at least once a year. 12| Go Snowboarding or Skiing- Have you taken up a new activity this year? If not, go be adventurous and give snowboarding or skiing a try! Learning new things together is exciting! 13| Its Show Time- There are so many cheap options for watching movies and tv shows nowadays. So what better way to spend a night than cuddled up on the couch together watching your favorite tv show. Our favorite way to do this is using HULU. They have all the great TV shows which air a day after they air on real-time TV. They are super affordable, we only pay $7.99 a month. You can also cancel at any time, with no contract! If you want to try it out for a month for FREE check it out here. 14| Sip Hot Chocolate- A warm drink surrounded by good conversation is a must on a chilly day. Better yet, plan ahead of time and grab an assortment of goodies to make your own hot chocolate. Grab your partner and have a mini date in the kitchen. 15| Make A Gingerbread House- No matter your age, gingerbread houses are so much fun to put together. Gather up the needed supplies and decorate your own gingerbread houses. If you want to keep things easy around the holidays, Target has the cutest gingerbread house kits. Make sure to snag one! 16| Board Games- You can’t go wrong with board games! Grab Jenga and turn it into a little drinking game. Head over to Pinterest for ideas on how to play. 17|Spa Date Night- Who doesn’t love the spa? If you haven’t been to one.. you don’t need to because you can have your own spa night right here at home. Go pick up your favorite massaging lotion and enjoy a night to yourselves. 18| Order In- Are there any restaurants around your home that you haven’t tried yet? If so, order in and try something new! 19| Movie Marathon- If you’re looking for a winter date, what better than a movie marathon! If you’re not a fan of the cold, then this option will totally meet your needs. 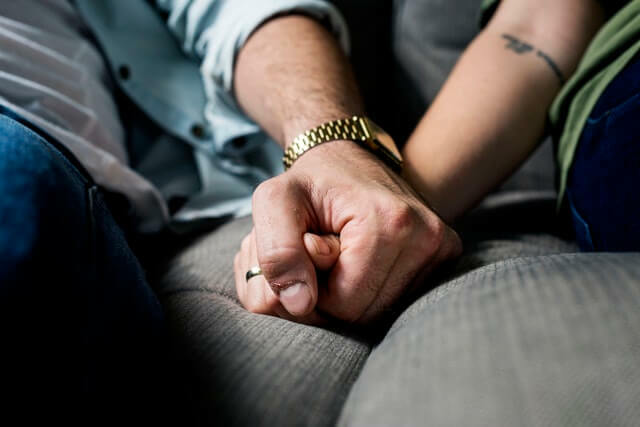 20| Battle Of The Sexes- Have you ever played Battle Of The Sexes? If not, you’ll get a kick out of this board game! Men vs. Women!! You’ll have yourselves laughing at each other all night long! 21| Build A Fire- Dating in the winter wouldn’t be complete without a fire. Fires during the winter are so fun. Bundle up and head outside with your favorite holiday drink and keep each other warm by the fire. 22| Indoor Picnic- One of you plan the drinks and dessert the other plans the meal. Meet in the living room for your own indoor picnic and surprise each other with what you brought. 23| Make Fondue- If you love all things chocolate you’ll love fondue. You can make quite a few things with your fondue pot but my favorite is chocolate covered fruit. If you don’t have a fondue pot you can grab one here for cheap! 25| Visit A Seasonal Attraction- Believe it or not there are tons of seasonal attractions in every state. Even if you haven’t heard of them, they are there. I live in the frozen tundra of Minnesota. Waterfalls freeze over in this state. Are there any ice sculptures, frozen waterfall, frozen cave, or other crazy events put on in your state? If so, check it out!! Adventure is fun! 26| Stargaze In The Snow- Winter is the best time to stargaze. I love when the moon shines on the snow, making your whole backyard just light up! 27| Knock It Off Your Bucket List- We all have those bucket list items that we want to do. Well, take time and knock an item off your bucket list. Fulfilling these items together is extremely exciting! 28| Cuddle Fest- After kids, cuddling becomes a thing of the past! By the time our heads hit the pillow at night we are out in a flash. Making time to do the things you used to do before kids or before your busy career took off is important! 29| Dinner Theater- Try dinner and a movie at a dinner theater! This is such a fun date for couples, especially if you normally don’t get out and do this sort of thing. If you want a nice meal and a live performance give a dinner theater a try. 30| Christmas Light Drive- Grab some hot chocolate and hit the road. Plan out the best route for viewing Christmas lights. Most cities have a list of the BEST Christmas lights in town, so make sure to check before hitting the road. 31| Go See A Christmas Play- During the holidays is the best time to go see a play! Everyone is in the holiday spirit so it’s just fun to do. Dress up for a night out and catch an awesome play based off your favorite Christmas story. Make sure to check Groupon for deals. 32| A Walk In The Snow- The best time to go for a walk in the winter is at night when it’s snowing lightly. Something about walking the snow-lined streets is magical. 33| Go Walk The Mall- I’m totally not a fan of the mall BUT I love going around the holidays. All the Christmas decorations and the holiday music just puts you in a good mood. The mall can also be a great place to get a mini workout in when it’s to cold to do so outside. Go get some steps in together. 34| Watch The Hallmark Channel- The holiday season is one time of year when everyone enjoys the Hallmark Channel. Hallmark movies are pretty sappy but during the holidays who doesn’t love that. 35| Shop For Ugly Sweaters- See who can find the BEST ugly sweater at a thrift shop of course. Remember back before the ugly sweater was a thing and you’d literally have to hunt multiple stores before finding one? Go do that again! 36| Take A Sleigh Ride- Dating around the holidays is so much fun! Something about Christmas just makes everyone all googly eyed. If you have yet to take a sleigh ride, it’s a must. Bundle up and go! 37| Winter Carnival- If you enjoy the cold dress up and find a winter carnival! They usually have everything from Christmas lights, ice sculptures, drinks, ice skating, shoes and so much more! 38| Go Sliding- Find a nearby sliding hill and go sliding. There is something about reliving the outdoor events you did as kids together. It definitely makes for an awesome night. 39| Make Snow Angels- It doesn’t matter how old you are. Go outside and make snow angels! Falling backward into the snow never gets old. Who doesn’t like feeling like a kid again! 40| Build A Snowman- Get bundled up and head outdoors! After all, when was the last time you built a snowman? Better yet have a contest who can build the biggest snowman, because we all like a little competition. 41| Popcorn And A Movie- Grab a Redbox movie, popcorn, and some wine. This is our go-to date when we aren’t feeling very ambitious and just want to chill. 43| Bake Something- And by something, I mean a dessert! Who doesn’t love a freshly baked brownie? It’s our go-to dessert because you only need a handful of ingredients and I bet they are all sitting in your pantry. Check out our go-to recipe here. You’re Welcome!! 44| Theme Night- Plan a theme for the night! Then plan your meal, dessert, or even a game based off of a theme. It takes a little work, but its fun! 45| Coffee Date- Date night doesn’t always have to happen at night! Sometimes it’s refreshing to have a laid-back mini date in your own kitchen. This is our kind of date when we don’t want to pay for a babysitter for our kids. 46| Plan A Future Vacation- How much joy do you get out of planning your next family vacation? For us, just thinking about our next vacation gives me goosebumps. If you enjoy traveling, even if it’s just a weekend trip, take some time and plan your next vacation together. We all have dreams, so put them down on paper and make them a reality! 47| Brewery Tour- If you and your partner love beer go check out a brewery tour. Brewery tours are usually inexpensive and in some cases free. I know a local brewery by our house who offers free tours in replace of a nonperishable food item for the food shelf. 48| Workout Together- We all know the little saying those who workout together stay together. Well, why not put the saying to test. Not only is physical activity good for you it also brings out a certain confidence that you can’t get anywhere else. 49| Play A Childhood Game- When was the last time you played twister or donkey kong?? Find a childhood game that you loved growing up and make a night out of it. 50| Go Bowling- Bowling is inexpensive and is the perfect winter date idea because it’s indoors. Grab your partner and make a night out of it. What is your favorite winter date idea? Let me know in the comments below! If you enjoyed this article pin this post for later or share with friends!